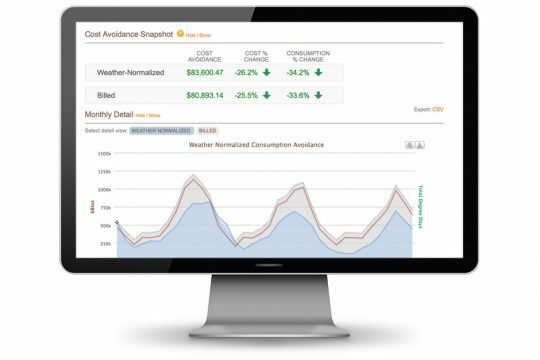 Discover how to reduce and manage energy costs with our easy-to-use dashboard. A data dump of kilowatts and therms per hour may be great for engineers, but most business decision-makers need simple, concrete, business-oriented data to help them understand the value of managing energy to drive better building performance. What is the Utility Dashboard? 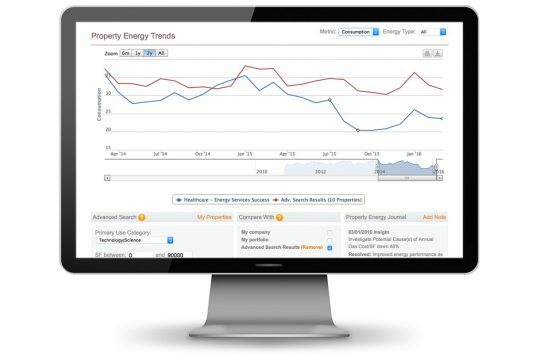 EnergyPrint’s Utility Dashboard gives you centralized access to your building portfolio’s energy analytics — and those of similar buildings — for you to explore and answer key business questions using metrics in real dollars and cents. "EnergyPrint makes it easy for us to see exactly where we should invest in building improvements. Less costly utility bills improve the value of our buildings and go a long way toward keeping our tenants happy." How are your buildings doing? We take away the guesswork of assessing building performance using current, relevant and accurate building performance metrics. Benchmark a building against itself, its peers and ENERGY STAR Portfolio Manager® using our proprietary database of building utility data. Are buildings getting better or worse? Prioritize where to focus attention by tracking how your energy use and expense changes over time, varies with weather patterns and responds to operations and equipment modifications. Quickly sort your properties to highlight your best performers and your greatest areas of opportunity. Where are the best opportunities for savings? Drill into specific properties for deeper energy performance intelligence so you can implement solutions that truly change building performance and reverse negative trends. Create benchmarks based on regions, property type, square footage and more. Have past improvements paid off? Know the impact of every investment, large or small, and leverage utility data to find even more ways to improve. By setting a baseline, you can track both billed and weather normalized energy performance for your M&V reporting needs. What good are energy analytics if they don’t translate to action? Here are just a few examples of insights you can use to improve buildings’ energy use with EnergyPrint’s Utility Dashboard. Summarize cost, consumption and carbon use across your portfolio. Compare against peers by region, property type, square footage and more to discover which buildings have the best savings opportunities. Identify trends and generate actionable insight as data is collected, validated and input each month. Monitor changes related to building improvements, operating changes and equipment defects. 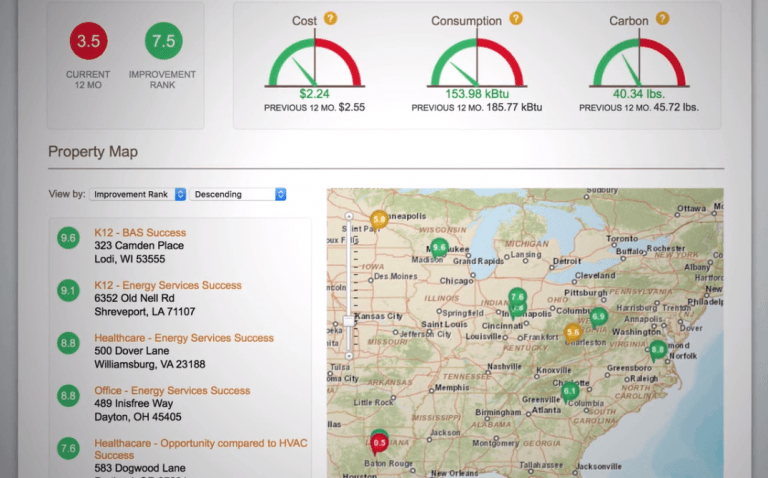 EnergyPrint's Cost Avoidance reporting visualizes energy savings based on an adjustable 12-month baseline period. When degree-day correlation is strong, Cost Avoidance will be adjusted for weather.